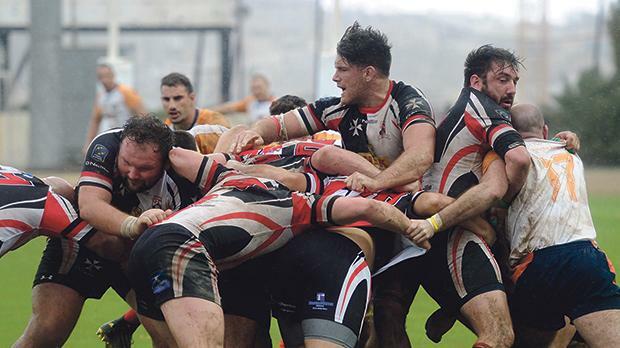 The Maltese rugby team play against the Czech Republic in a promotion play-off on Saturday. Malta Rugby Football Union president Steve Busuttil yesterday made a passionate plea for the authorities to step up their assistance to his sport as the national team prepares for Saturday’s crucial promotion play-off against the Czech Republic, in Prague, (kick-off: 2pm). Damian Neill’s men earned the right to play the Czechs after topping the Conference 1 South Division qualifying group. The Czechs, Conference 1 North table toppers, clash against Malta for a place in the Trophy Division, the second-tier of European rugby. Busuttil said this was a remarkable achievement for the national team and mirrors the excellent progress recorded over the years. However, he said that the play-off involves another financial strain on his association which is already struggling to balance its books. “We are proud of the results achieved by our national team and we are really looking forward to Saturday’s match which could provide us with another historic achievement,” Busuttil said. “However, from an administrative point of view, our union, which has now been around for the past 35 years, is struggling to keep up with the momentum our sport has embarked on, particularly on the continent. “Unfortunately, these international commitments, while welcome by the players and fans, are putting a huge strain on our coffers... that could jeopardise our future participation abroad. “The kind of money we had to fork out for our last two internationals was money we could not afford. At the moment, we’re getting no funds from the authorities and all gate-money from home matches is used to sustain our national team leaving other projects aside. Busuttil said his administration had been in discussions with government authorities for several months now but with scant results. “We were hoping that things would have changed but the status quo remains,” Busuttil said. National coach Neill said the players deserve all the praise they could get for doing so well in the European Nations Cup. “We knew at the start of the season that if we performed to our ability we could be in this position and the players have responded in style. Today, there are many national teams who would love to be in our position,” Neill said. “Given the difficulties the MRFU is facing, the players have to negotiate difficult hurdles to give their all to the team. Neill said his players are all geared up for Saturday’s match against the highly-rated Czechs. “They are a very strong side and most of their players figure regularly in France,” he said. “But our team has grown a lot during the last few years and I’m convinced we’ll be up to the job on Saturday. “Looking at our squad we have a lot of strength in depth in different areas and that could only happen thanks to the wise investment and administration of the MRFU in grassroots levels. D. Apsee, B. Borg, D. Busuttil, C. Cassar, D. Cerketa, H. Collins, M. Davey, C. Dudman, T. Galdes, J. Galea, A. Harvey, G. Hepburn, D. Holliday, R. Holloway, T. Holloway, J. Kirk, J. Morris, R. O’Brien, T. Quarendon, M. Spiteri, A. Vella, L. Watts.